Duration: 115mins Performance Extras: Mon 5 Feb - Subtitled for hard of hearing. 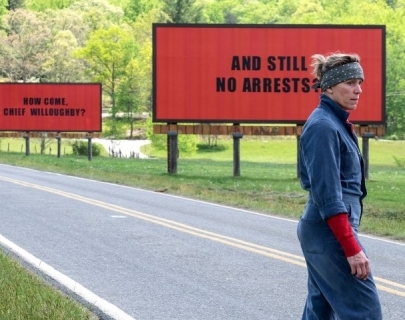 After months have passed without any progress in her daughter’s murder case, enraged Mildred Hayes (McDormand) commissions three billboards outside the town demanding action from revered chief of police, William Willoughby (Harrelson). When violent, blundering sidekick, Officer Dixon (Rockwell), gets involved, the battle between Mildred and Ebbing’s law enforcement ignites in Martin McDonagh’s (In Bruges) latest pitch-black comedy.